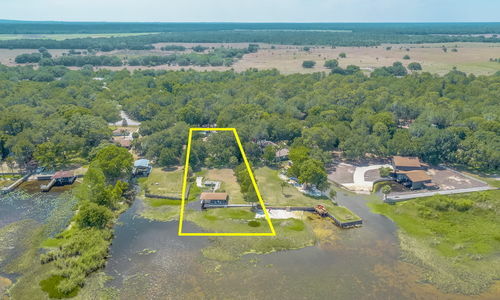 UNIQUE LAKEFRONT HOME ON LAKE ROSALIE! 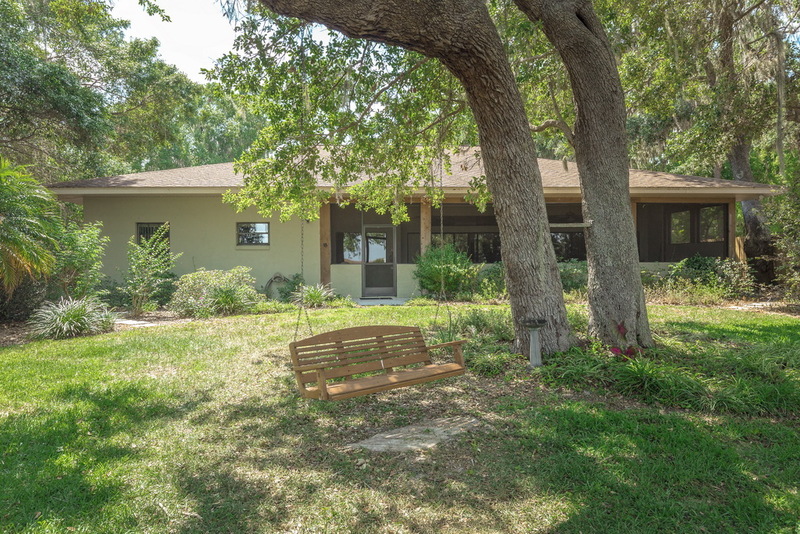 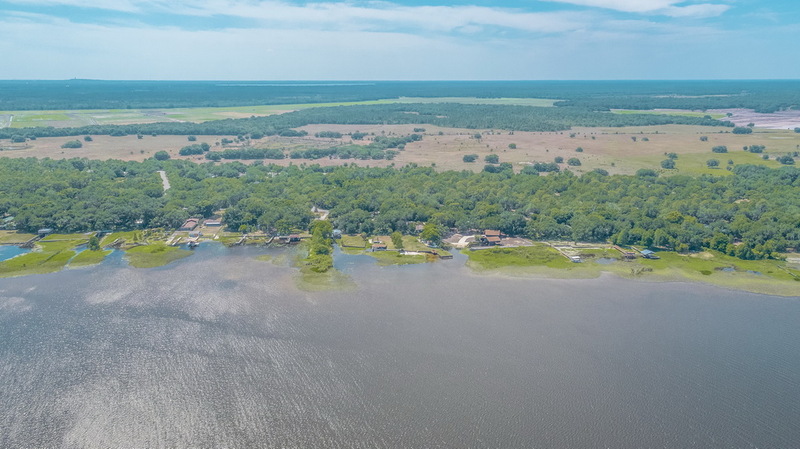 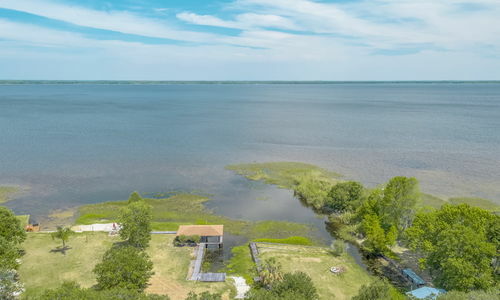 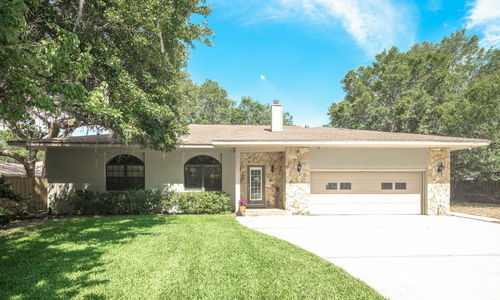 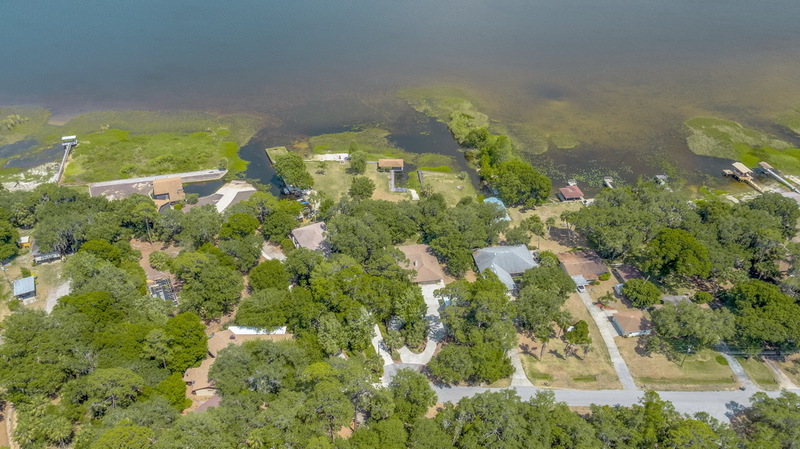 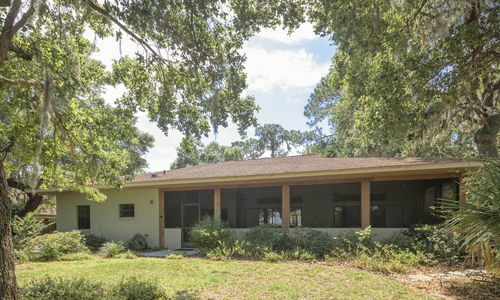 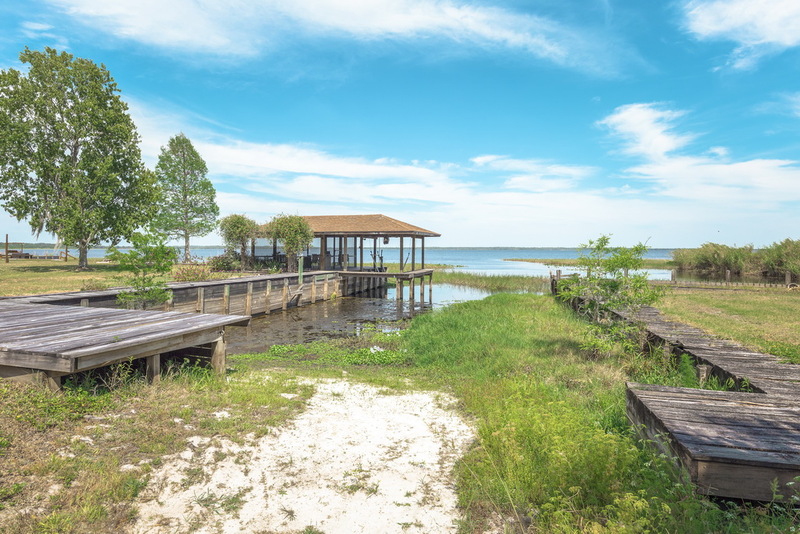 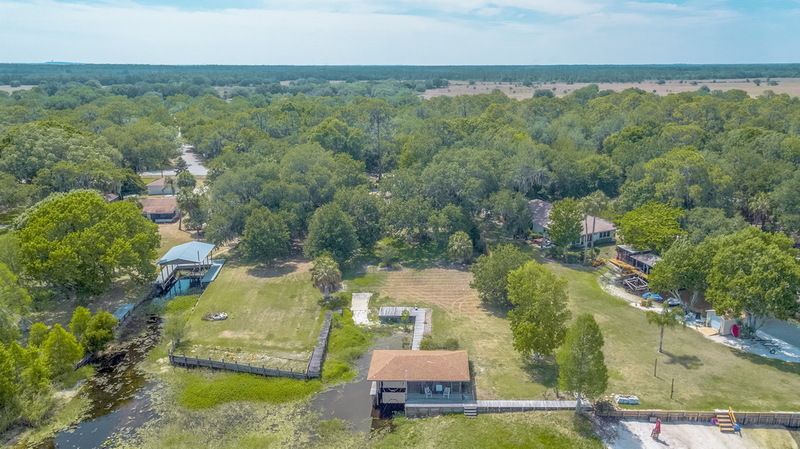 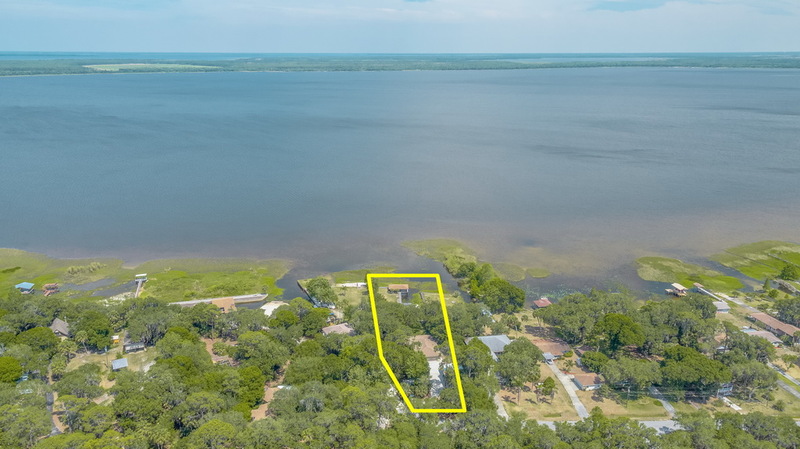 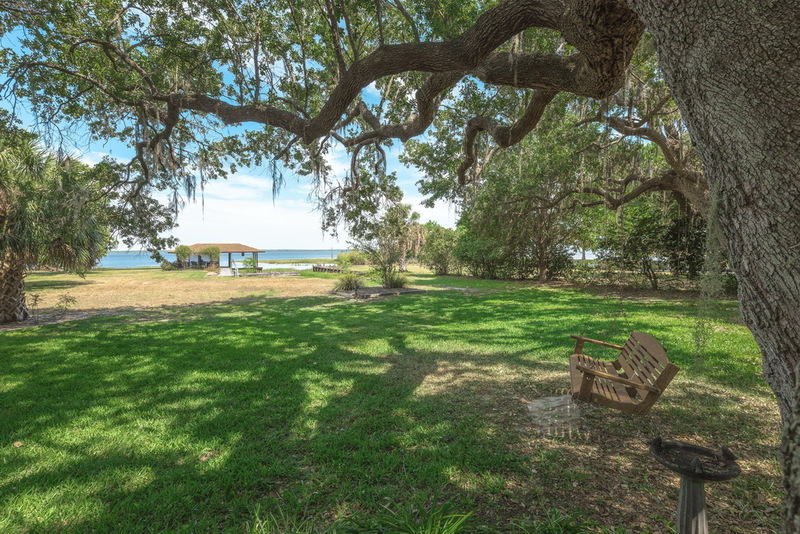 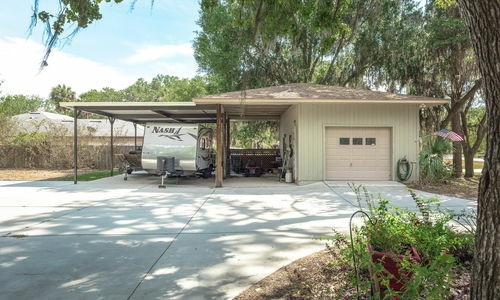 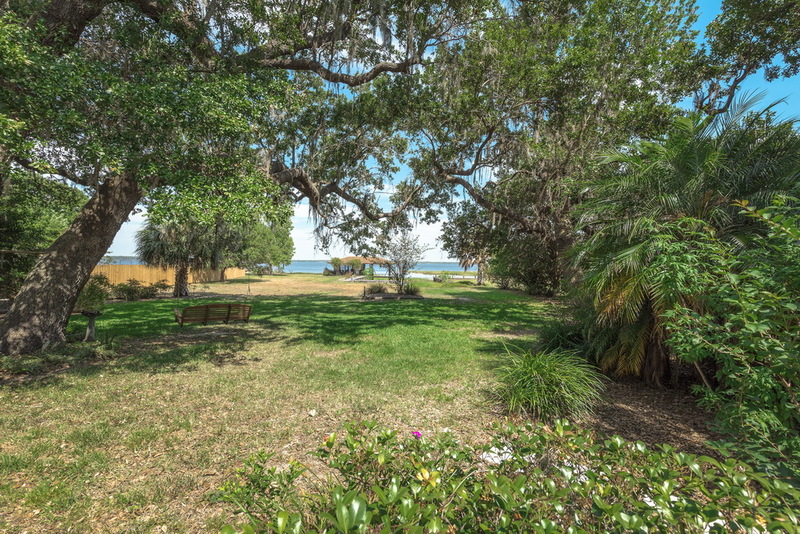 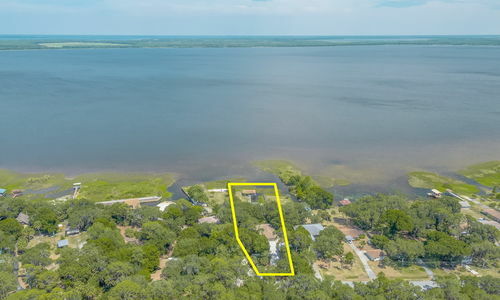 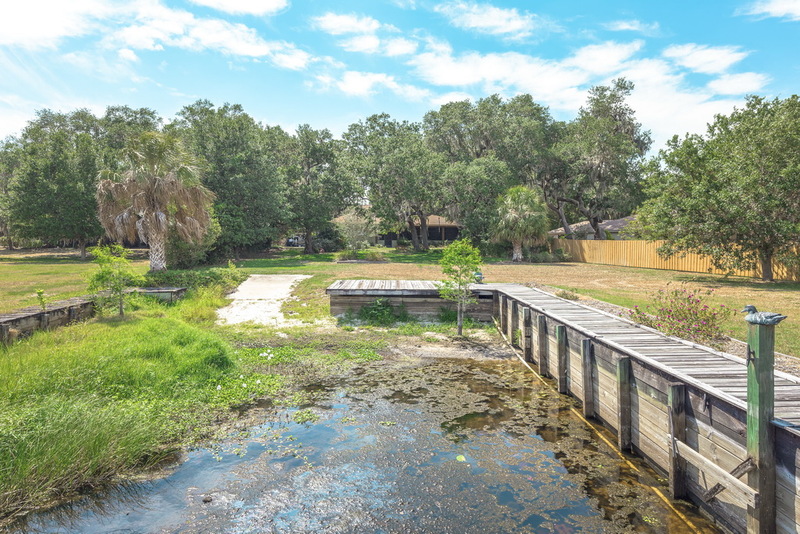 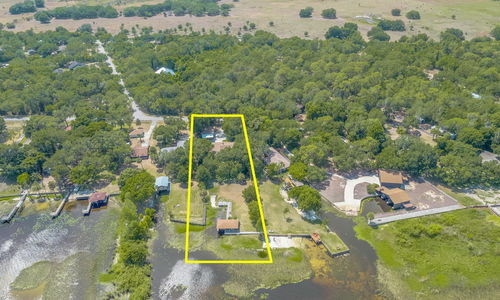 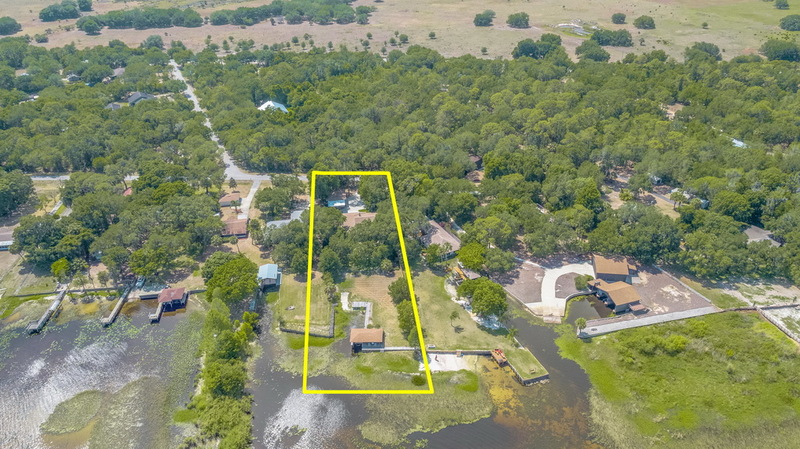 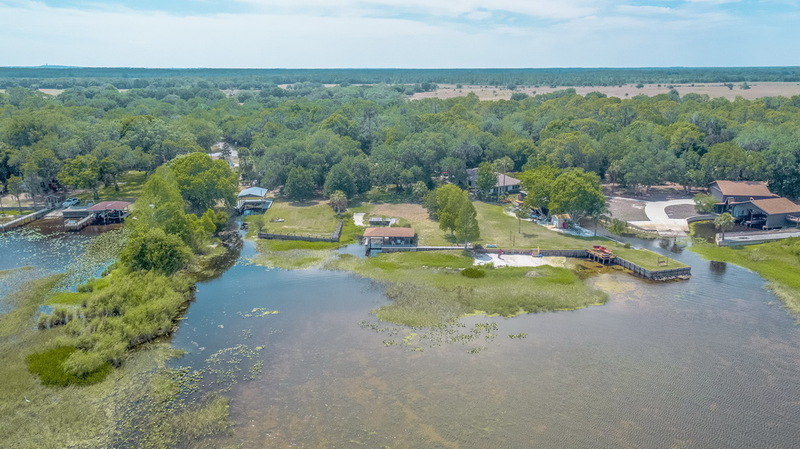 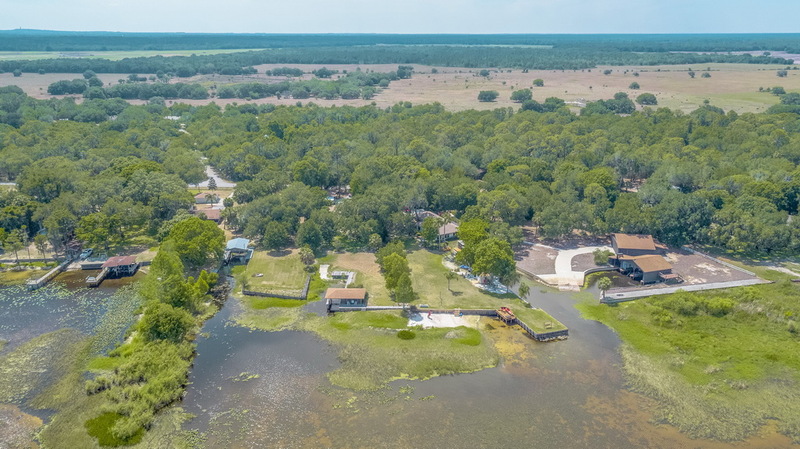 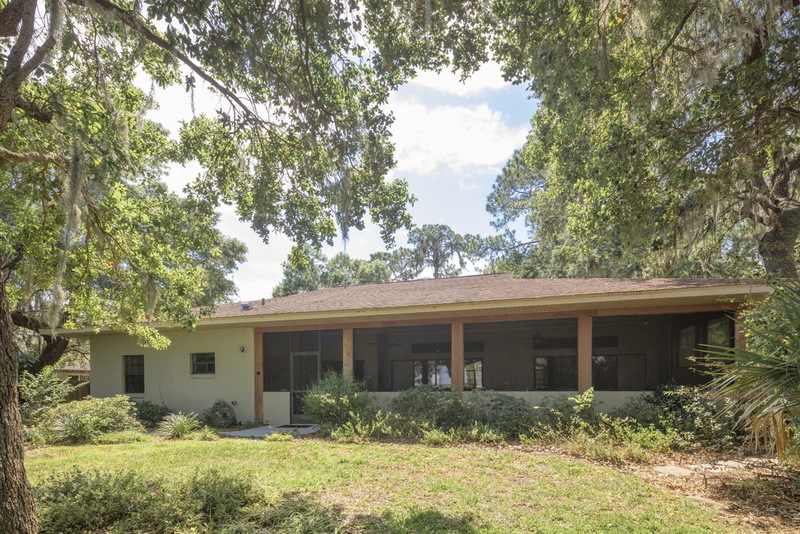 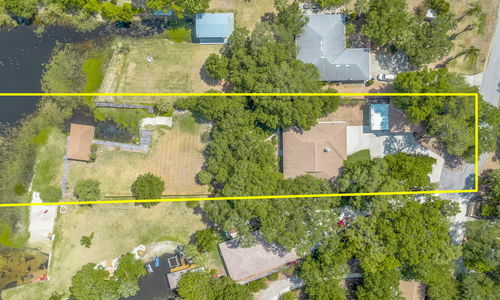 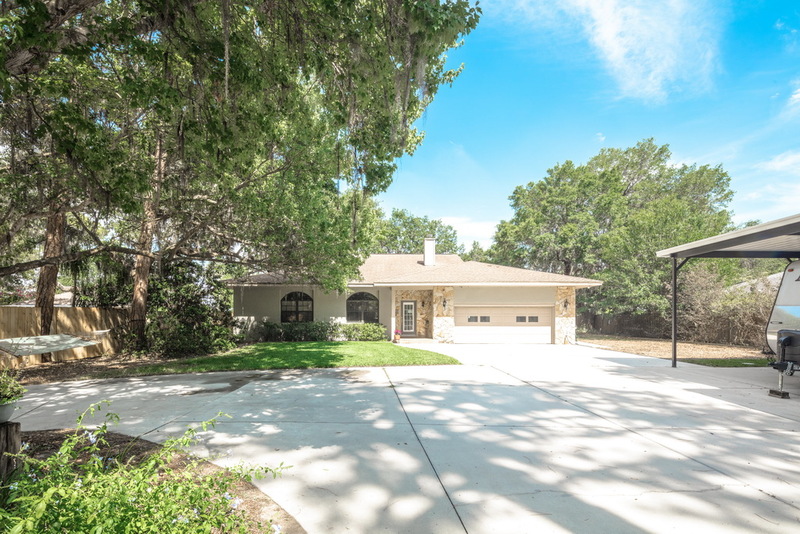 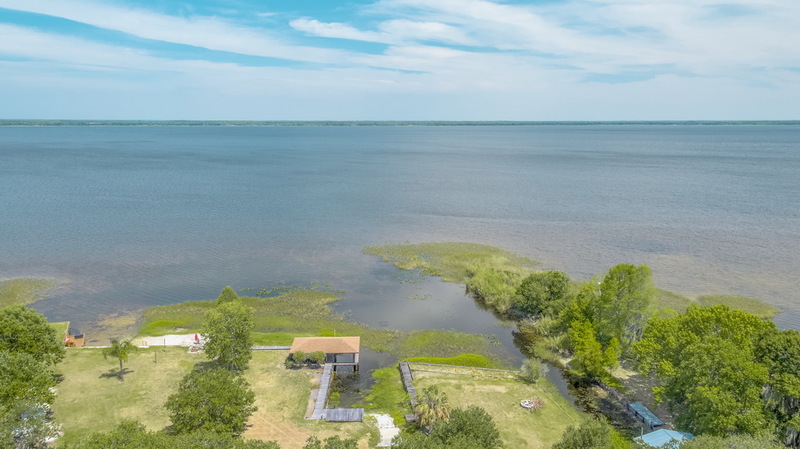 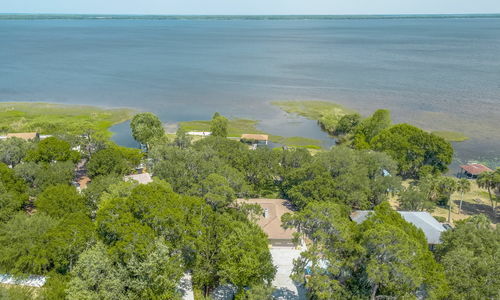 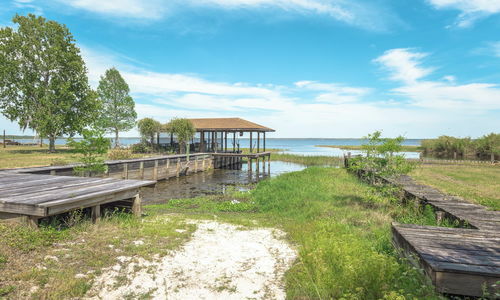 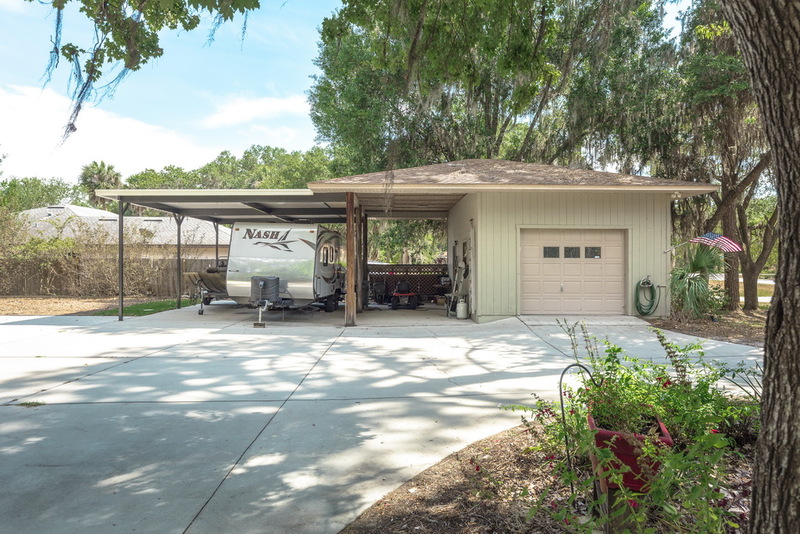 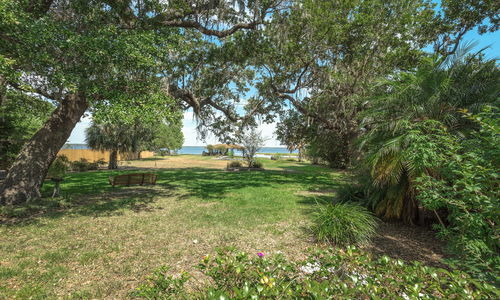 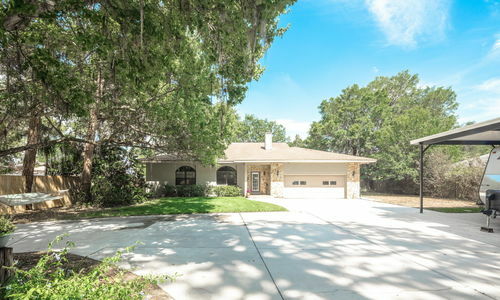 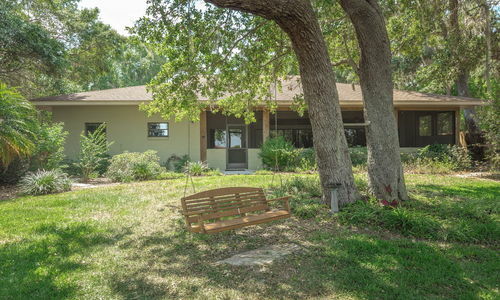 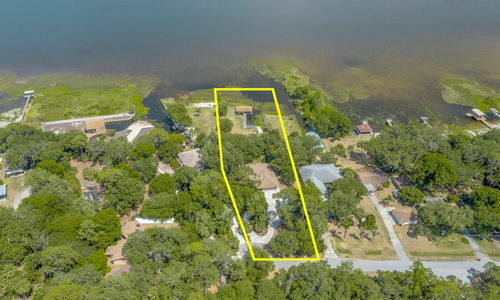 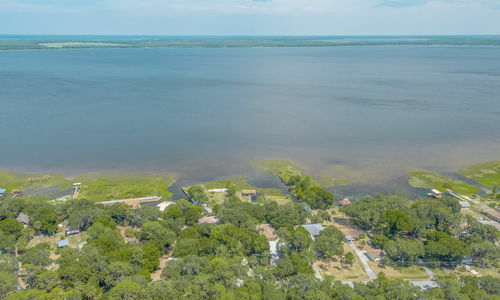 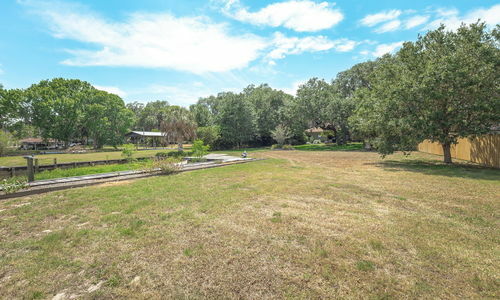 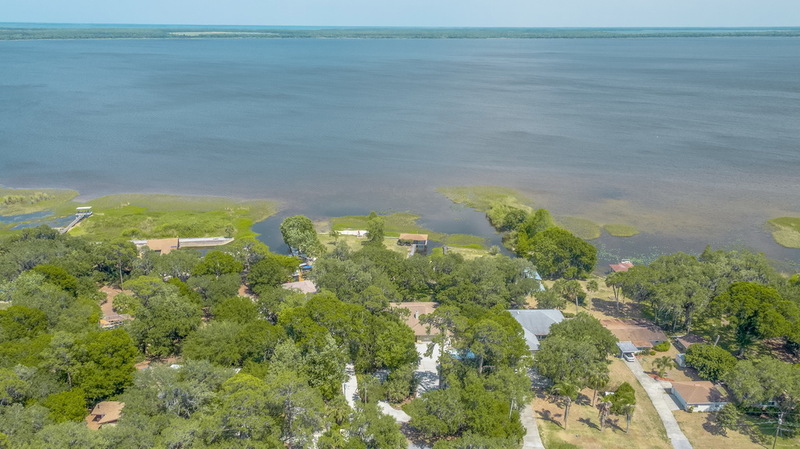 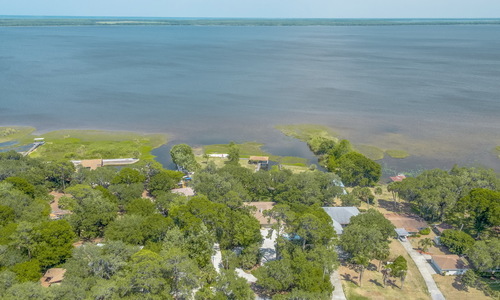 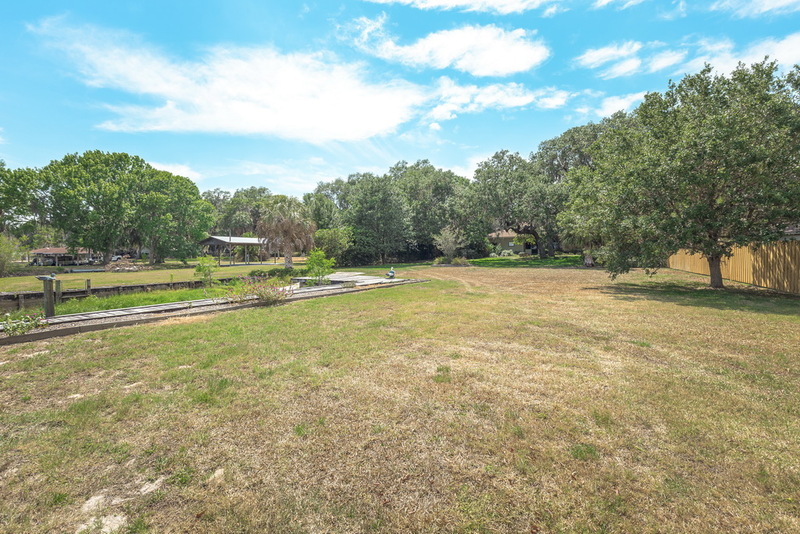 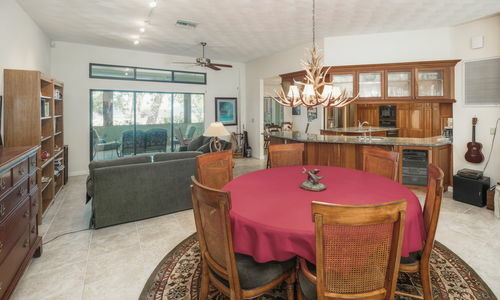 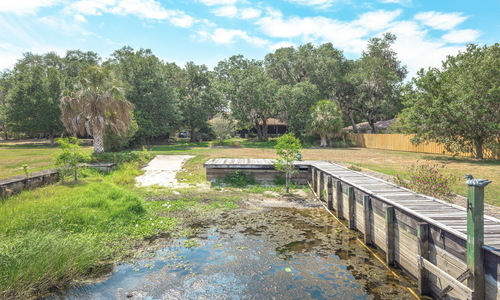 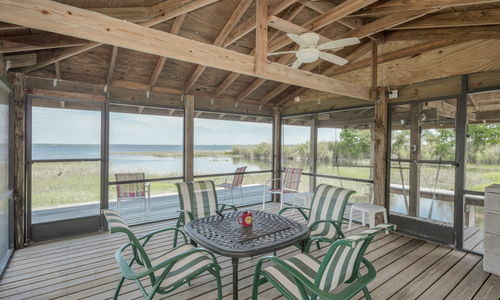 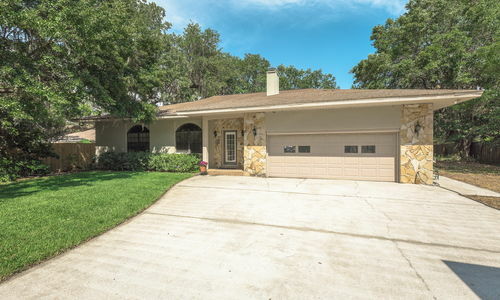 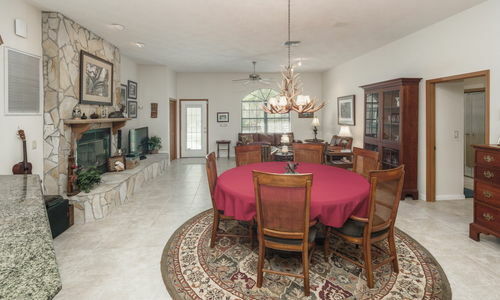 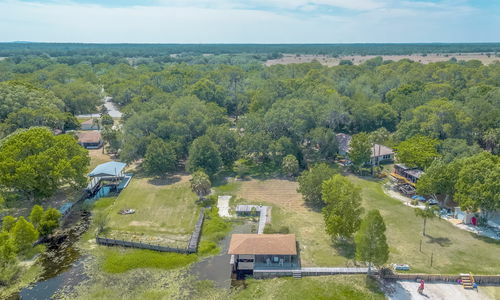 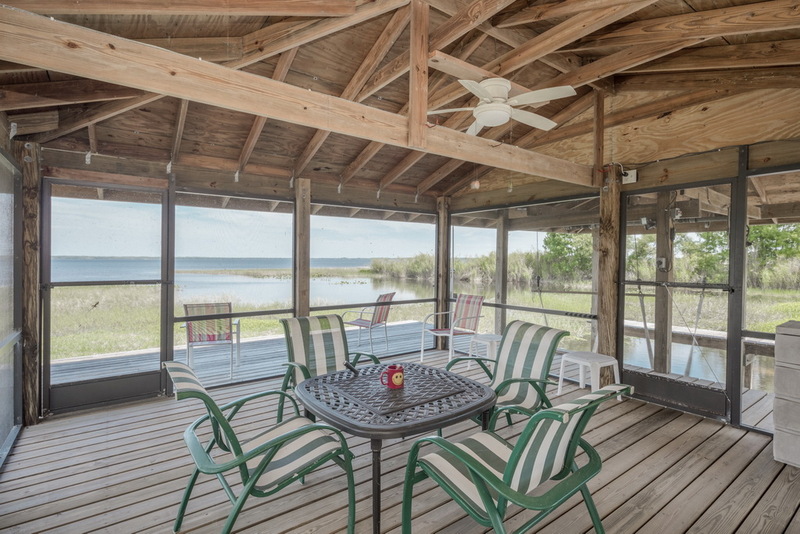 This home has long docks with covered boat lift, screened gazebo and concrete boat ramp (airboats welcome). 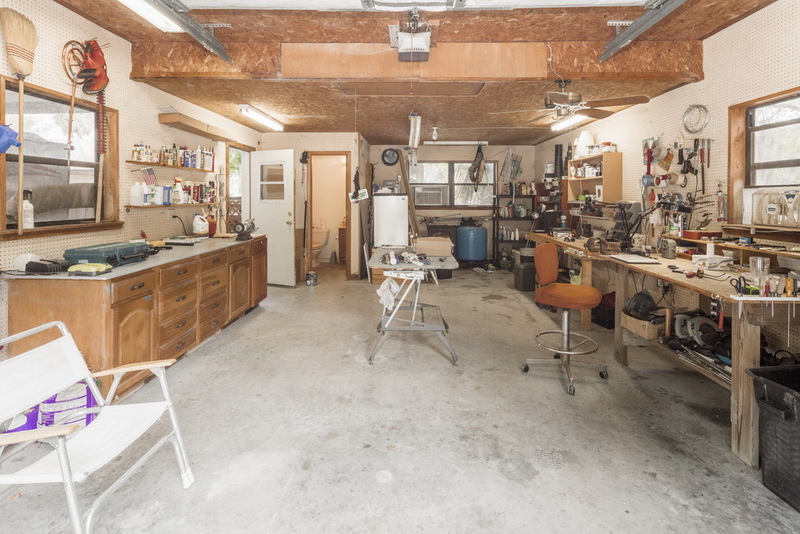 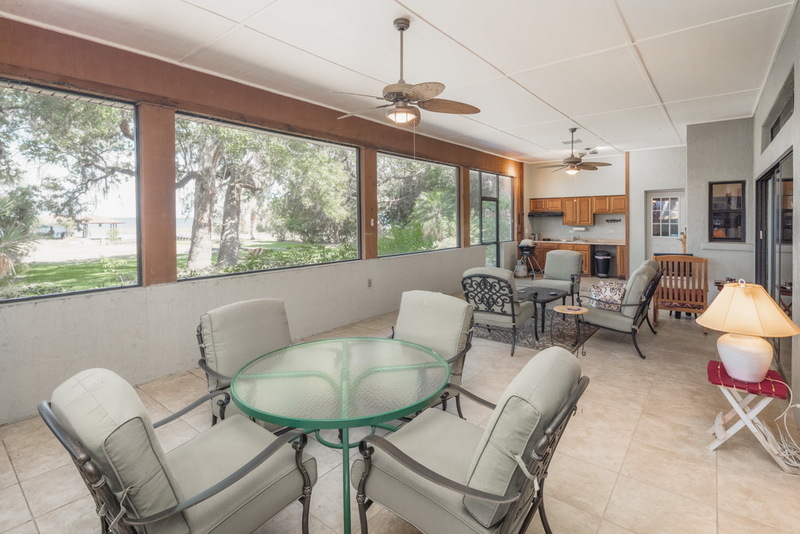 The residence is on a quiet road and offers 2,313 square foot of living space, plus a 640 sq ft, insulated lanai easily enclosed with windows. 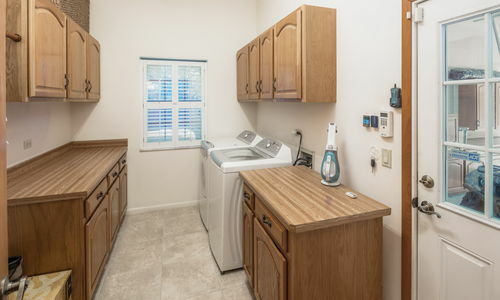 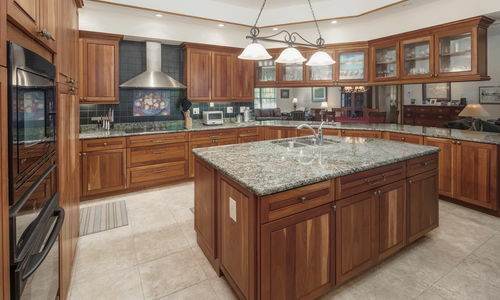 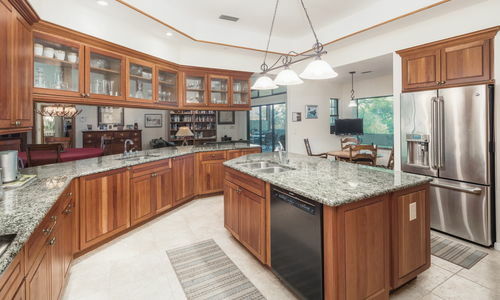 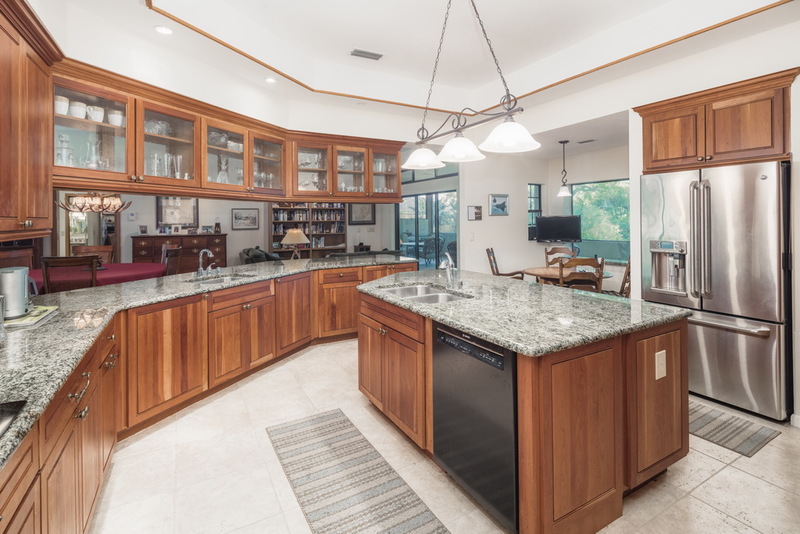 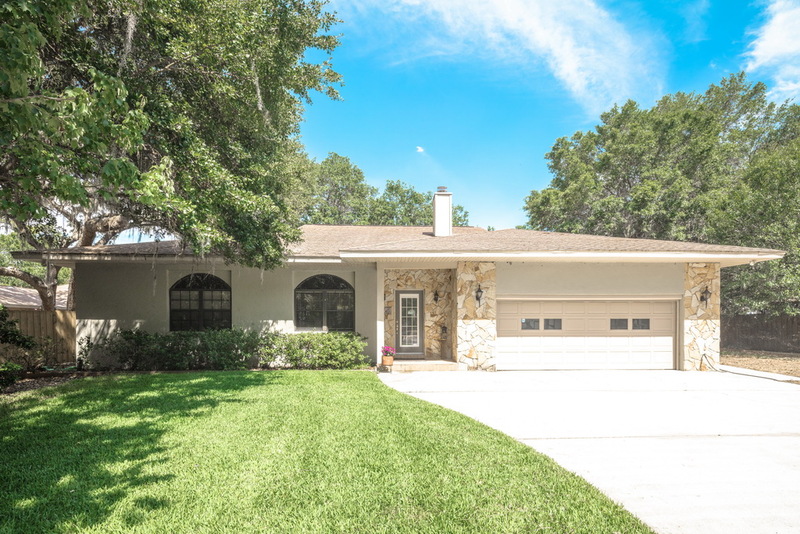 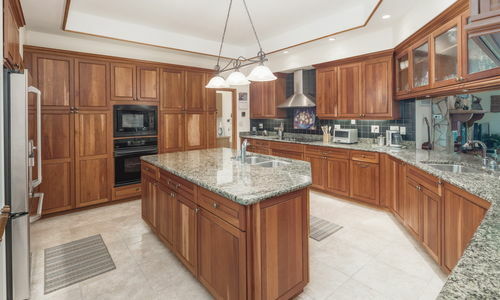 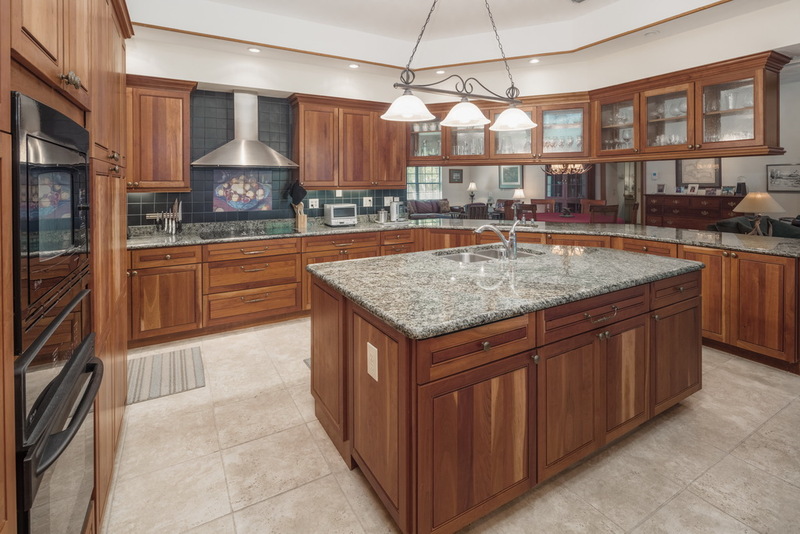 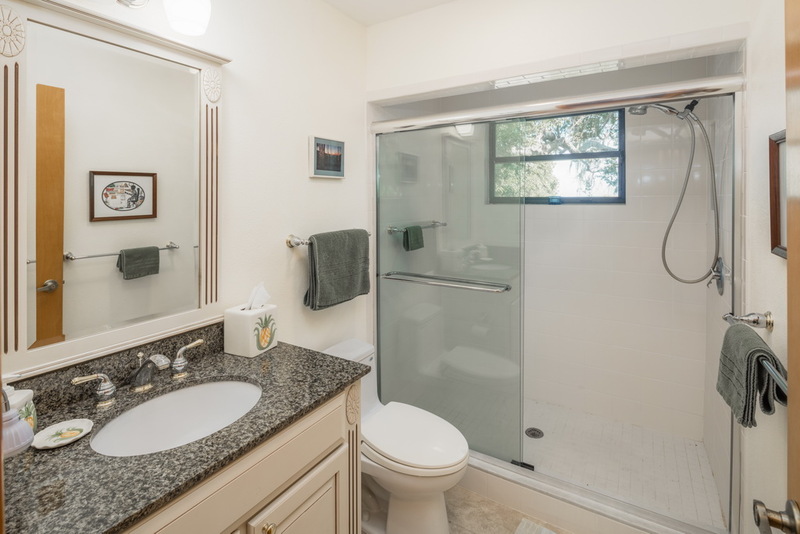 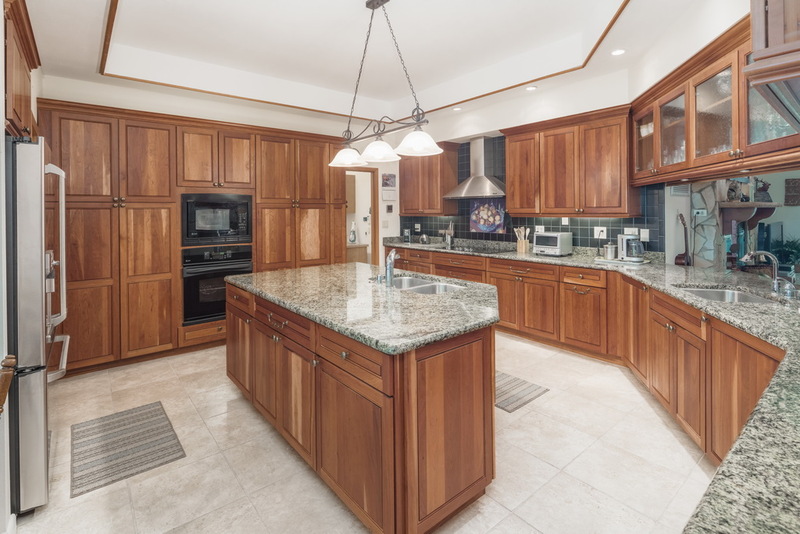 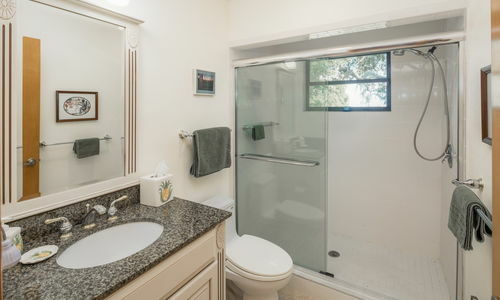 The beautifully remodeled kitchen is classy and functional with granite counters, solid cherry cabinets, prep island, two sinks, top of the line appliances, accent lighting. 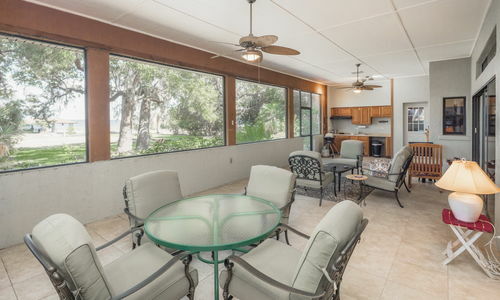 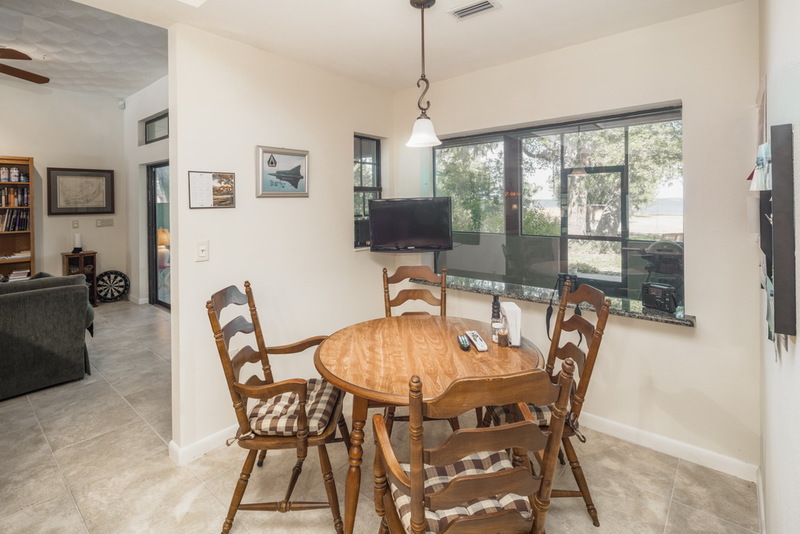 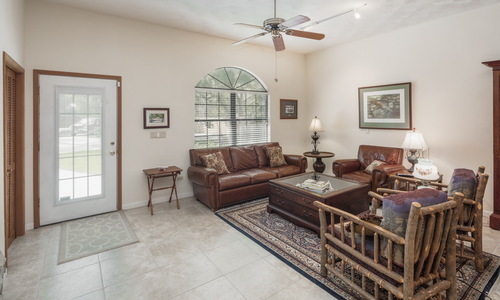 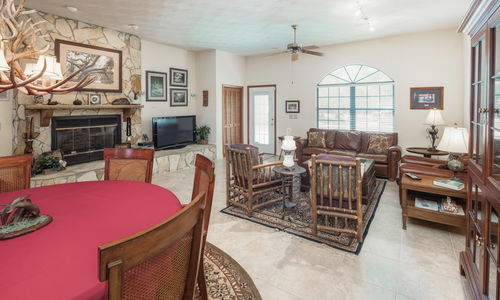 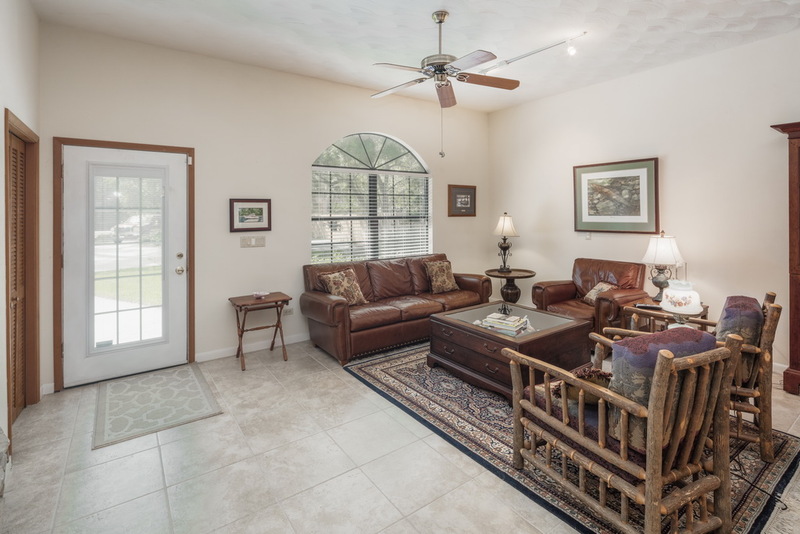 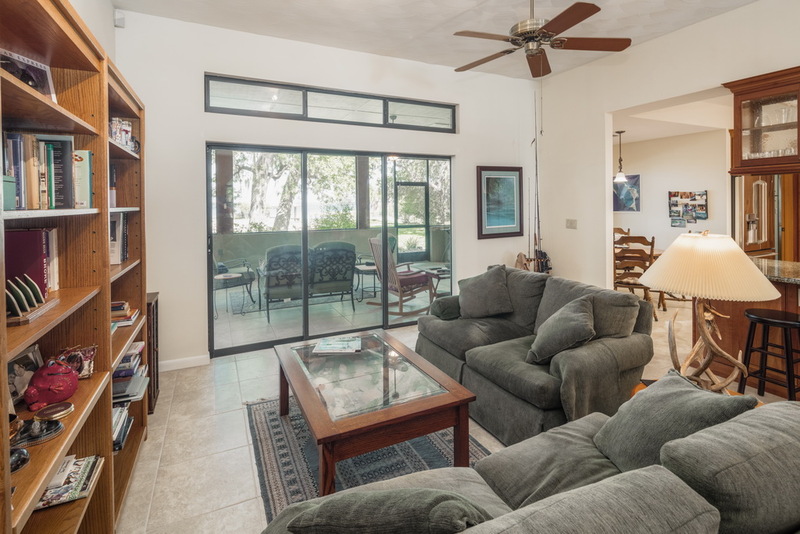 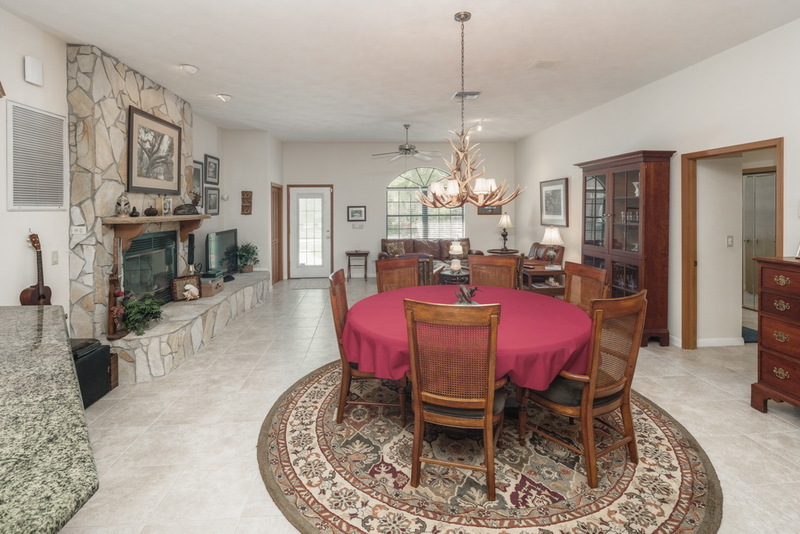 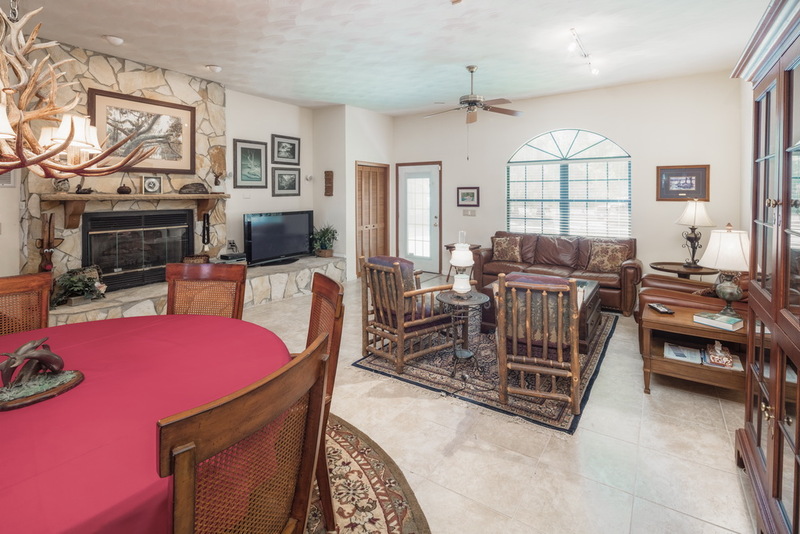 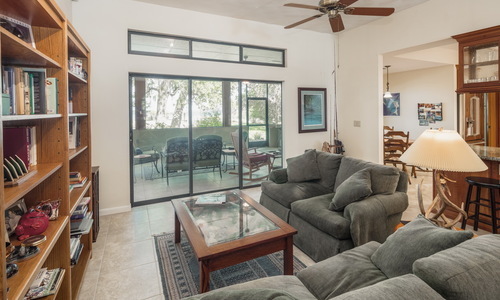 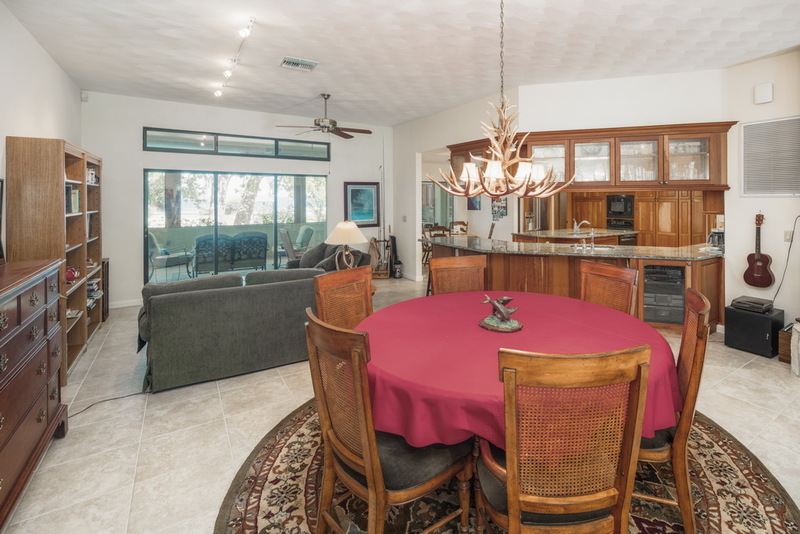 The great room has stunning lake views, 18″ tile flooring, stone fireplace, insulated triple sliding doors to the lanai and a large dining area. 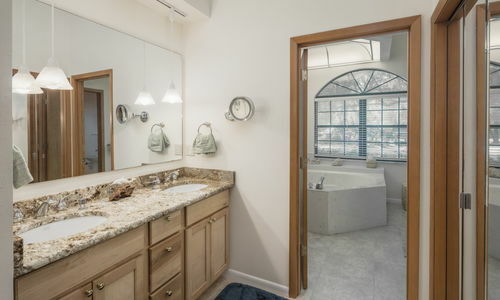 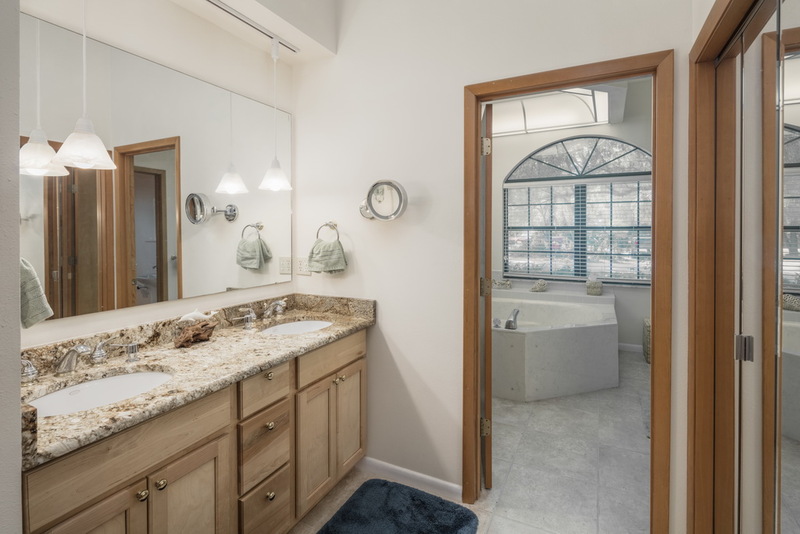 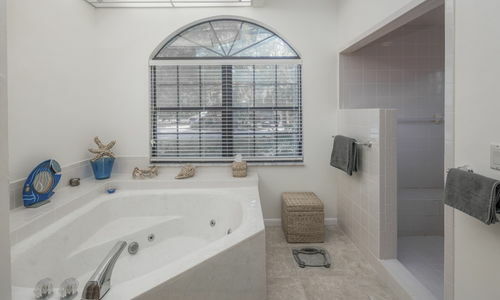 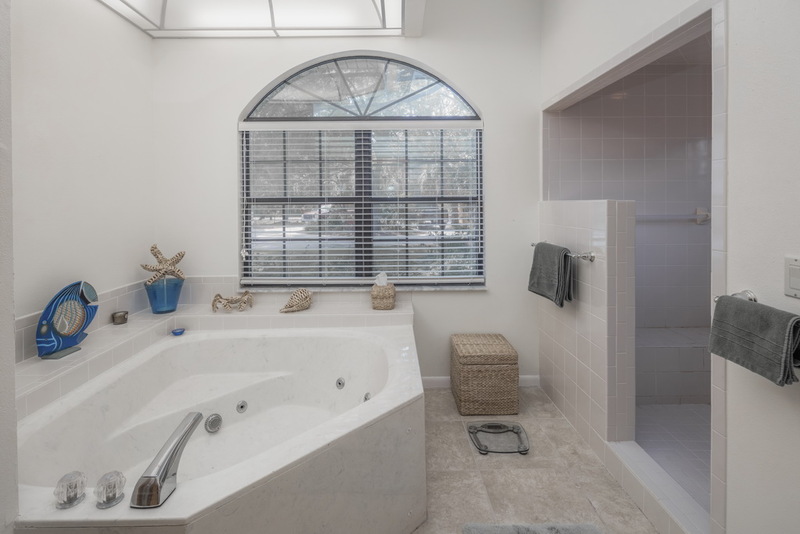 Master suite features lake views, lanai access, walk-in closet, granite counter, dual sinks, jet tub and dual shower. 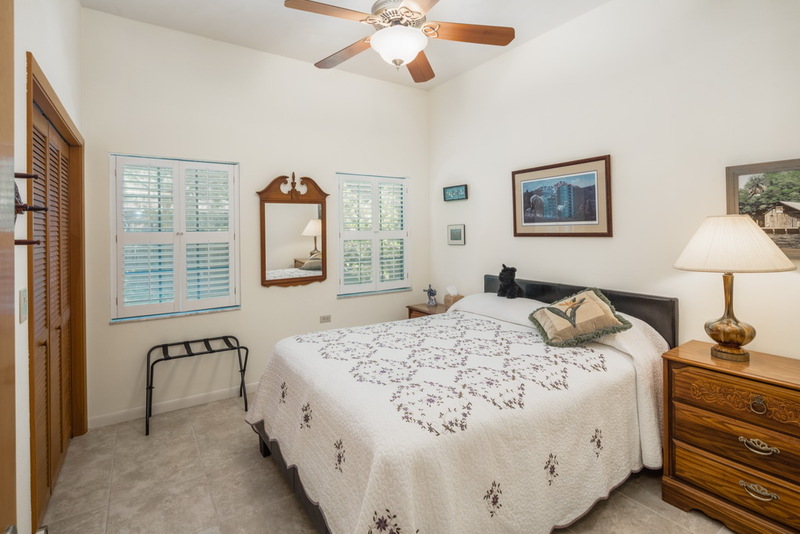 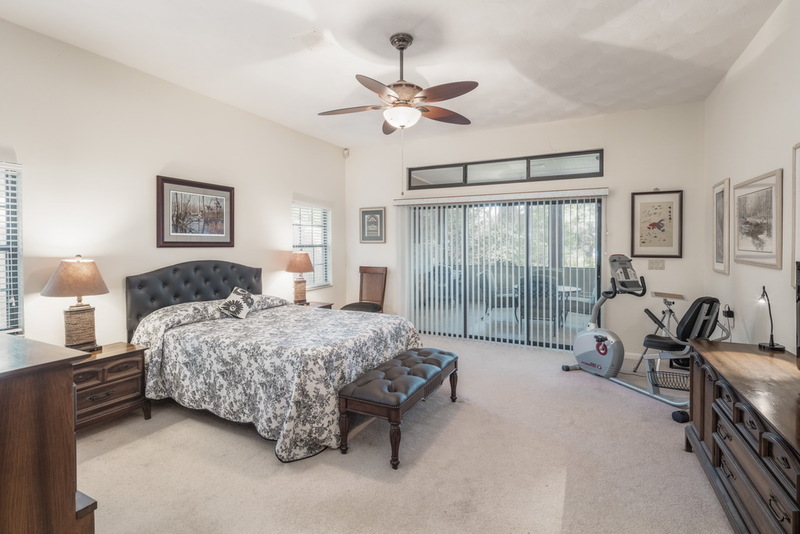 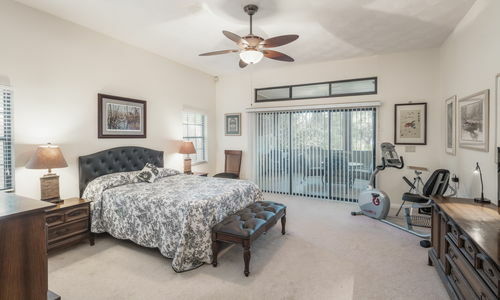 Guest bedrooms have ample closets, lakeview bath, granite counter and custom shower. 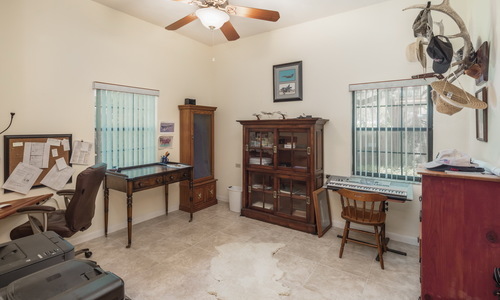 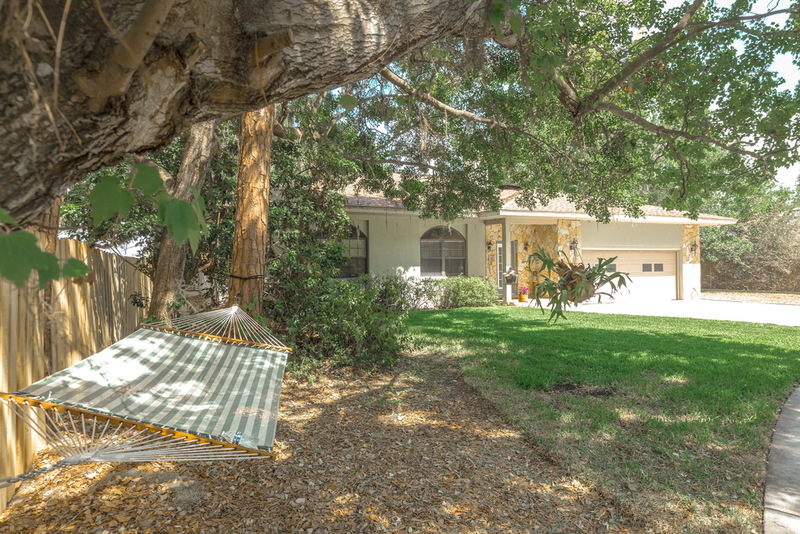 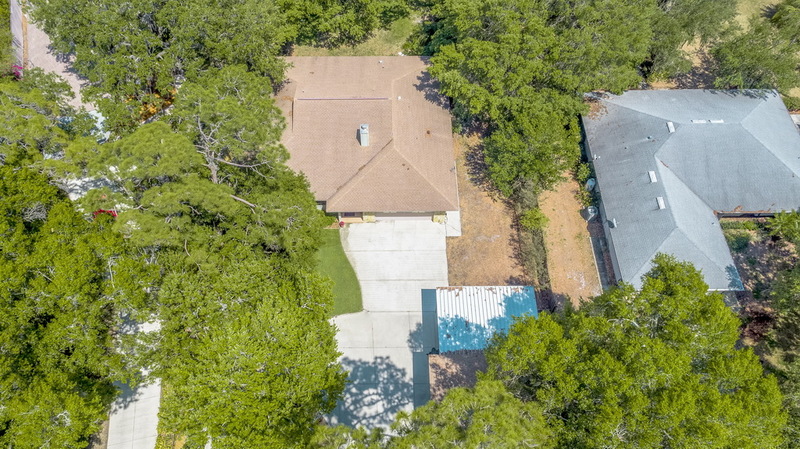 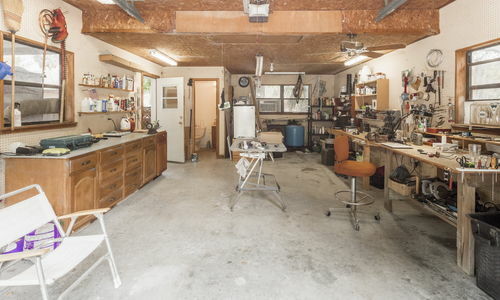 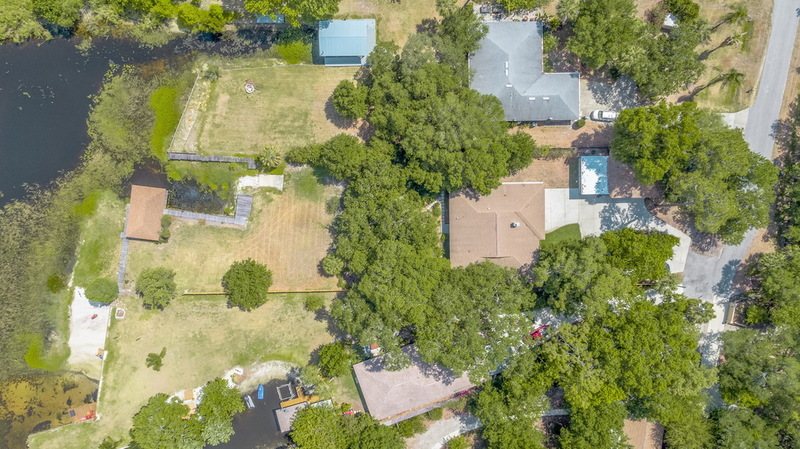 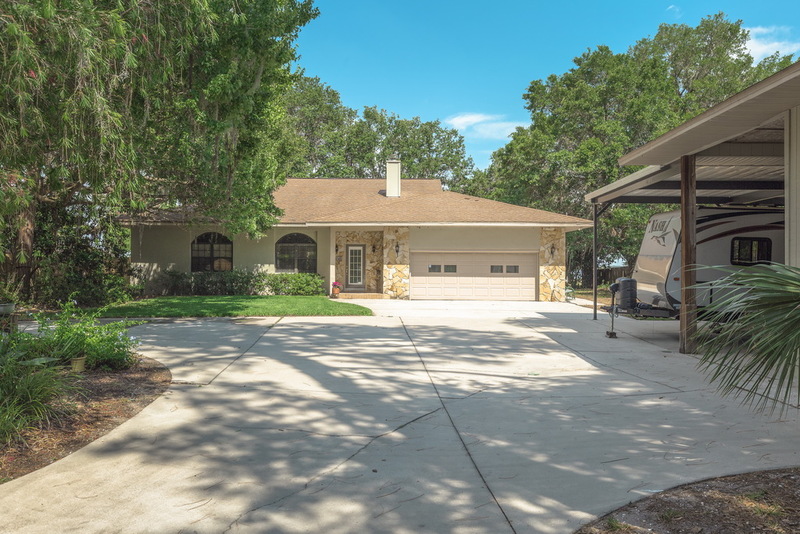 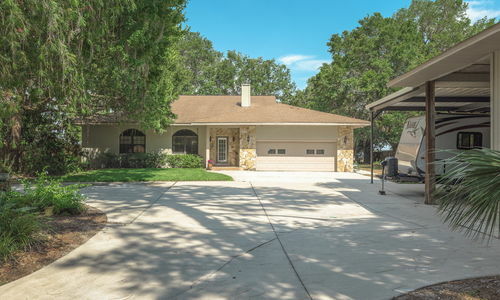 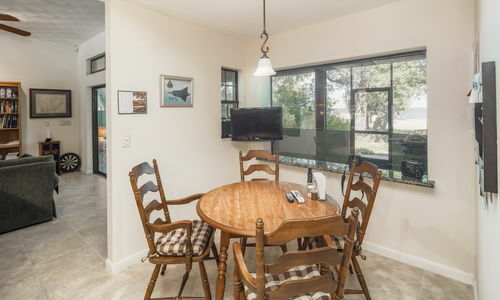 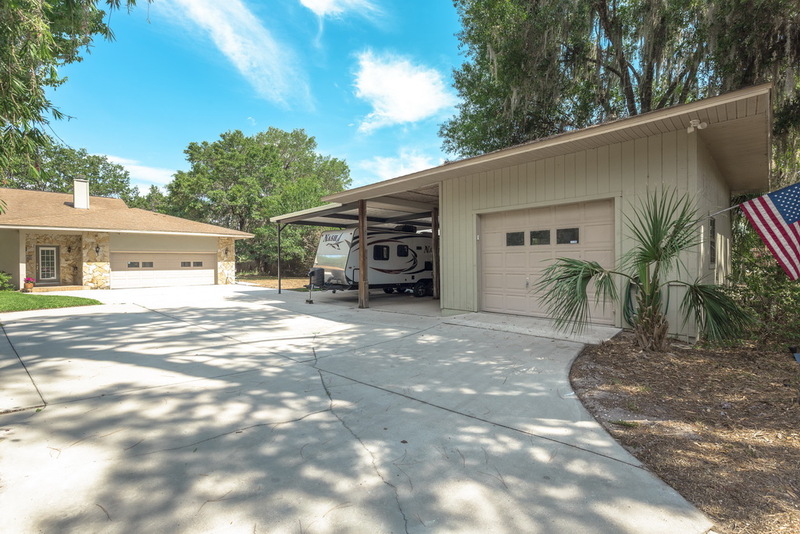 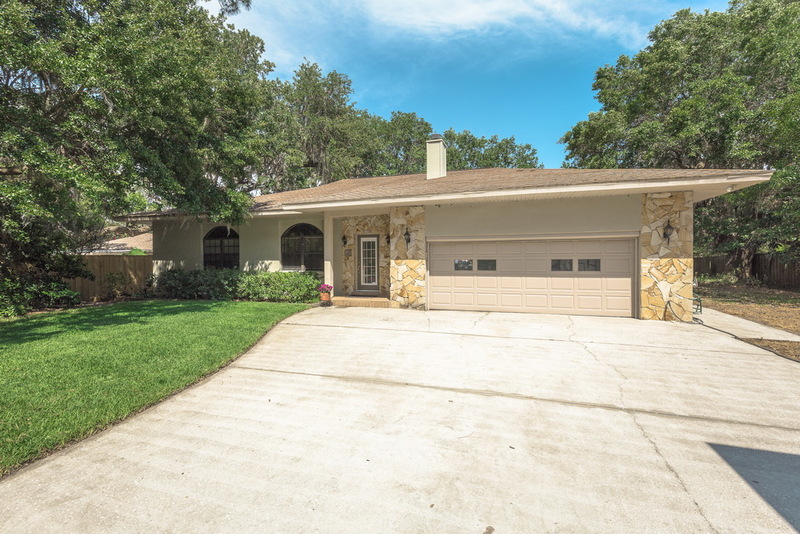 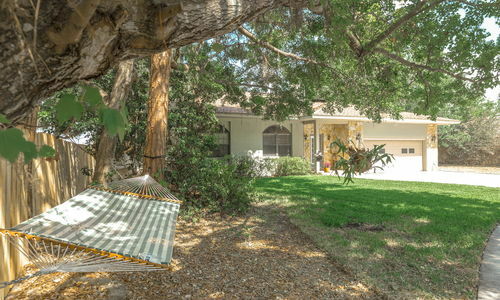 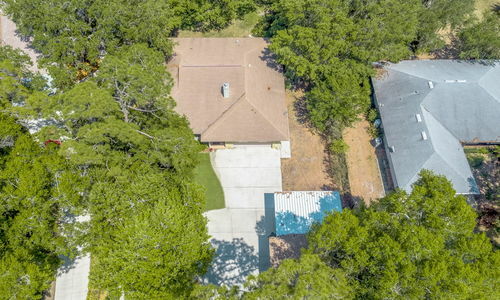 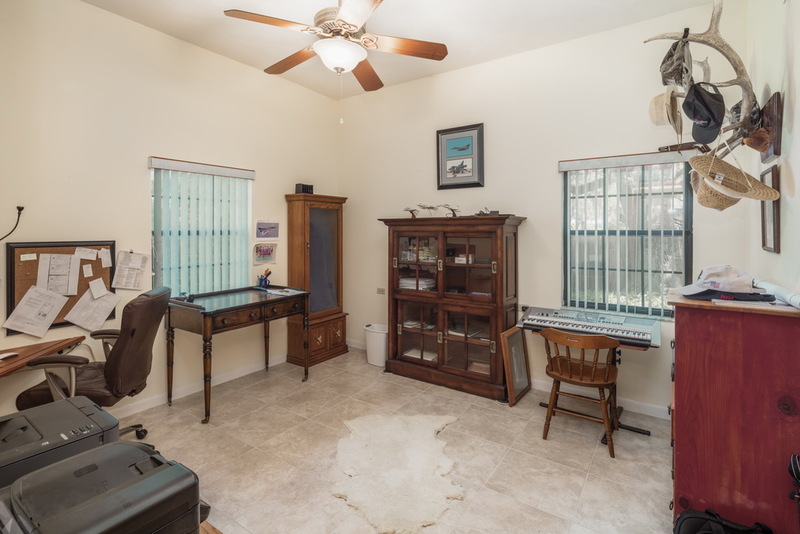 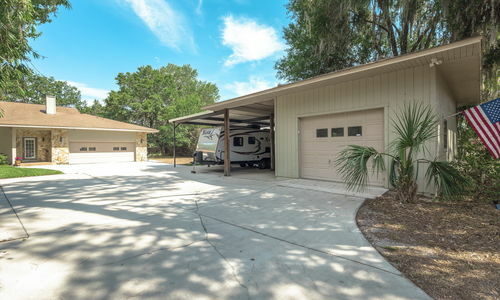 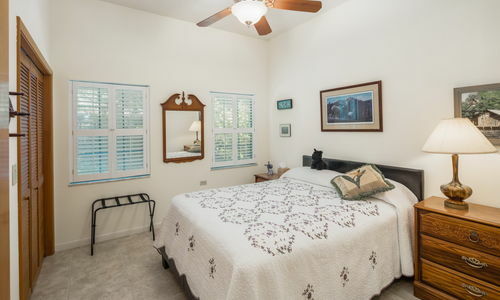 Other features include new Carrier A/C, double pane windows, attached 23×23 garage, detached 25×16 garage with a/c and half bath, and covered 3-car carport, high enough for RV. 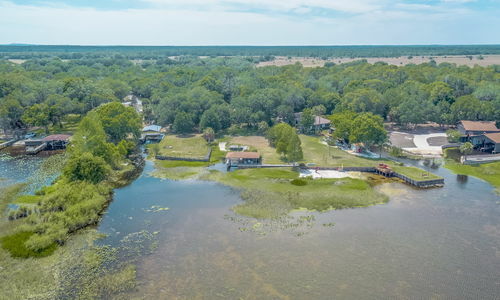 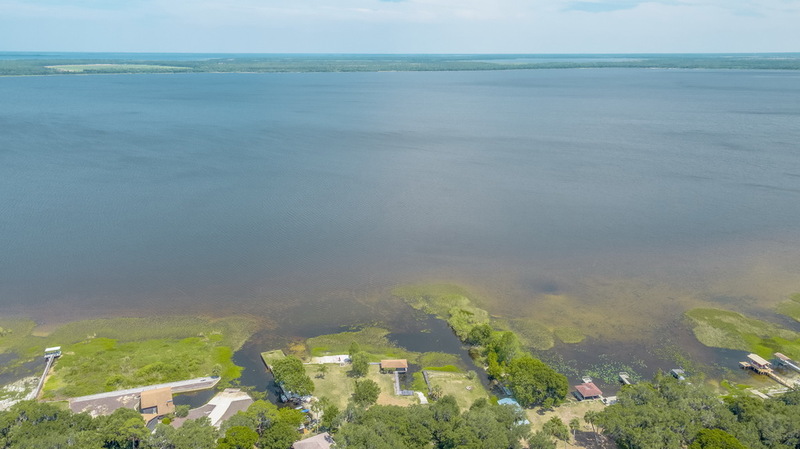 This property is on Lake Rosalie, a largemouth bass paradise. 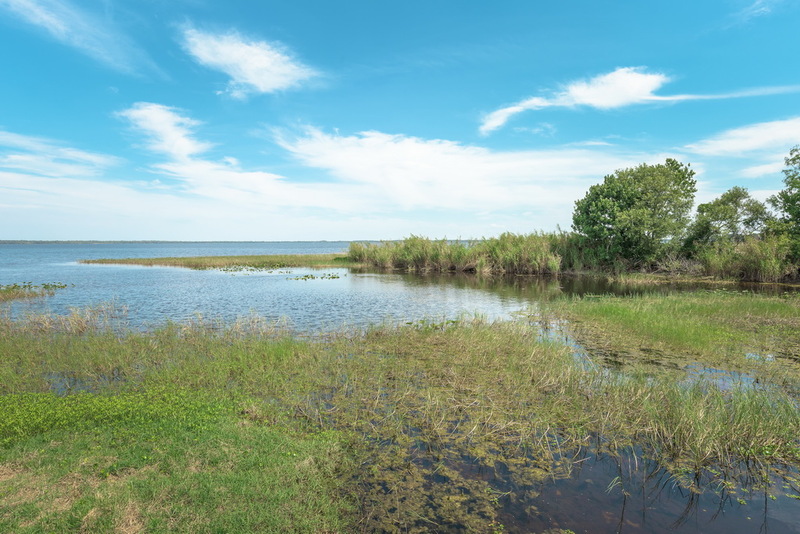 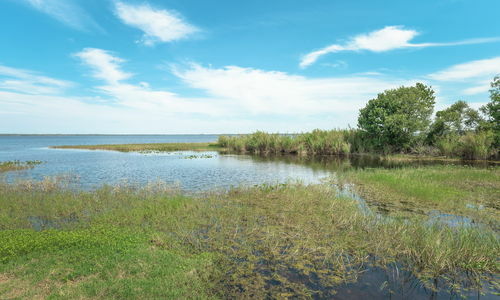 Unlike most lakes, it is destined to border wilderness forever – half its shoreline is Lake Kissimmee State Park and Catfish Creek Preserve. Amazingly, wildlife seen recently from this house include nesting bald eagles, red-shouldered hawk, barred owl, otter, three species of heron, limpet, sandhill crane, wild turkey, rabbit, squirrels galore, alligator, ibis, gallinules, ducks, swallow-tailed kite, cardinals, pileated woodpecker, etc.